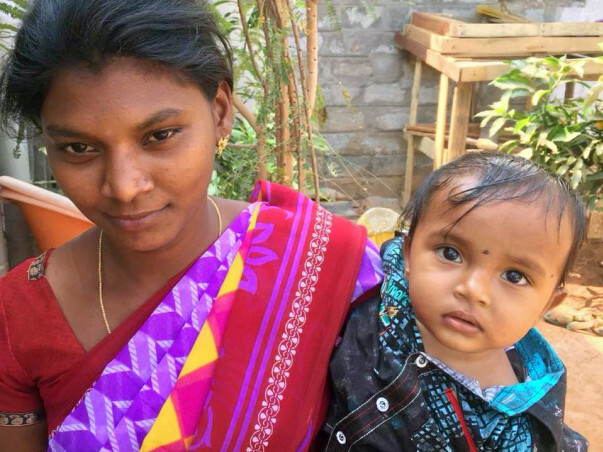 Obulamma is 23 years old widow and mother of 10 months old Bharath. Obulamma's late husband was a car driver and died in an accident while avoiding to hit couple of people who were recklessly walking on the road on new year day. Due to someone's else's negligence, the whole family is shattered. Obullamma is mentally not fit to work anywhere. She gets confused with things and has her mother's support in helping with Baby Bharath. Obulamma's mother work as a home maid in nearby houses to make their living and she is the only source of income which is about 6000 INR/Month (less than 100 dollars) . They are located in a semi urban town in Andhra called Kadapa where not much is paid to home maids. The kid needs a lot of stuff which the family is unable to provide. Hence I am trying to raise some funds through this channel. Please help donate some money to this helpless family and for goodwill of the little 10 year old boy who don't have father and a strong mother now.